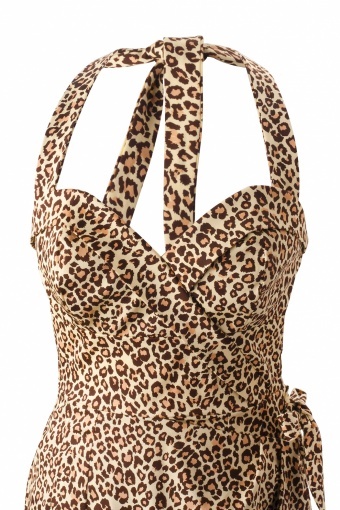 New limited collection from Glamour Bunny! 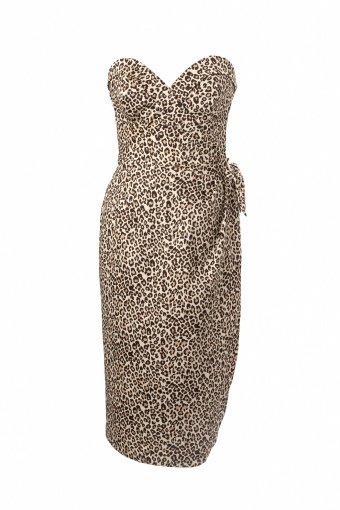 The Tiki Temptation Sarong Dress Leopard is a beautifully tailored dress and inspired by the design of Alfred Shaheen, the Hawaiian design genius of the 50's. 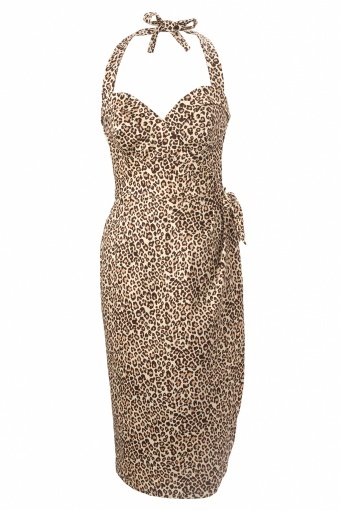 This dress is not only one of the most flattering dresses to come out of the 50's; it is certainly one of the most flattering designs of all time! 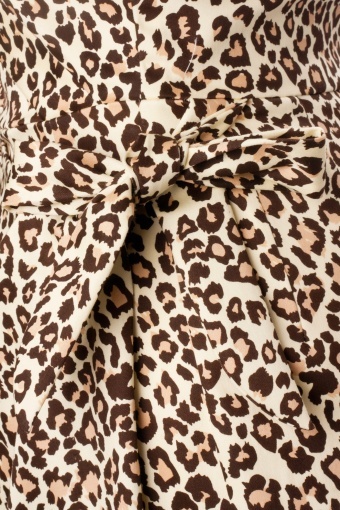 Made in of a soft but firm high quality cotton stretch fabric in a not ordinary leopard print in warm yellow, beige and brown a playful and classy version of the standard leopard prints! Also available in a pastel Hawai print & Red! Wat een gave jurk met mooie stof! Ik zal zeker de blits (hihi) maken op de bruiloft 12 mei! Het was nog even spannend omdat ik normaal gesproken maar 44 heb, maar hij zit als gegoten! Dus hij valt iets ruimer! En bedankt voor de goede service! !